Mustard yellow, not necessarily a pretty sounding name but such a pretty color. 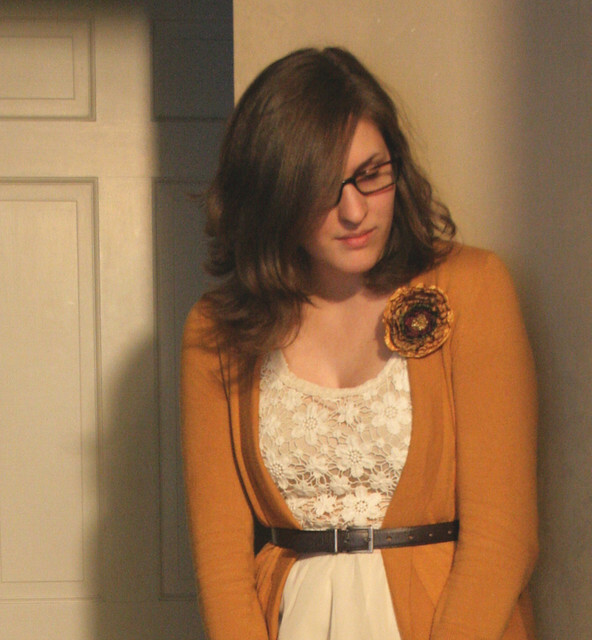 After buying this yellow sweater I was worried I wouldn't have much to wear it with, but I was wrong! It is surprisingly neutral while adding a pop of color to an otherwise monochrome outfit. This Wednesday I paired it with some cream and brown. Yeah, I do the white after labor day...well cream if you must be specific.